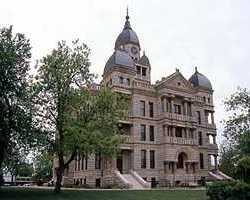 Denton County was established by the Texas Legislature on April 11, 1846. 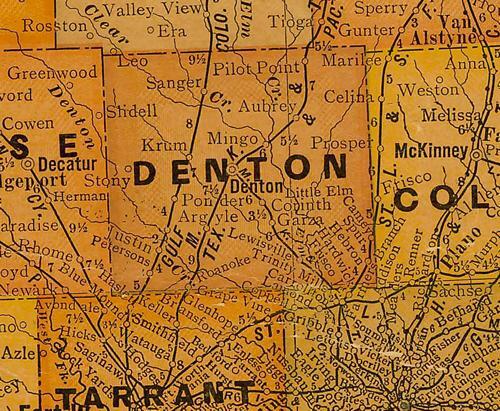 Prior to this time only a few early settlers had lived in what is now Denton County. After Texas joined the union, military protection form marauding Indians caused settlement of this territory to increase. 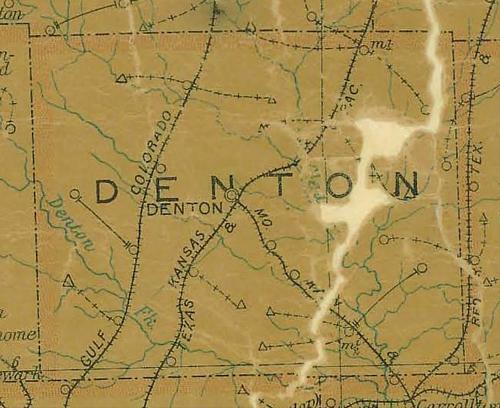 Land for Denton County was carved out of Fannin County. 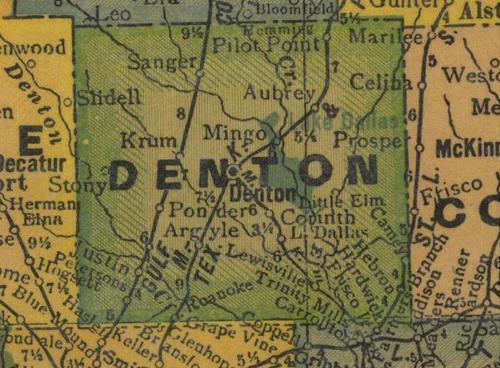 Pioneers named the new county after John B. Denton, a pioneer preacher and lawyer who was killed in an Indian fight in 1841. Due to hardships, the county seat was moved several times in the 1850's. The present day county seat was established and lots sold at auction in 1857. Primary among the reasons for this final move was the need to locate the county seat central to settlements in Pilot Point in the north and Lewisville in the south. Cities, Towns & Ghost Towns: History, attractions, landmarks, architecture, monuments, museums, cemeteries, bridges, parks, vintage & contemporary images, area destinations, hotels, forum, and more..